From the journal of Captain Henry Thompson, March 7, 1814. Courtesy the Friends of Clifton. 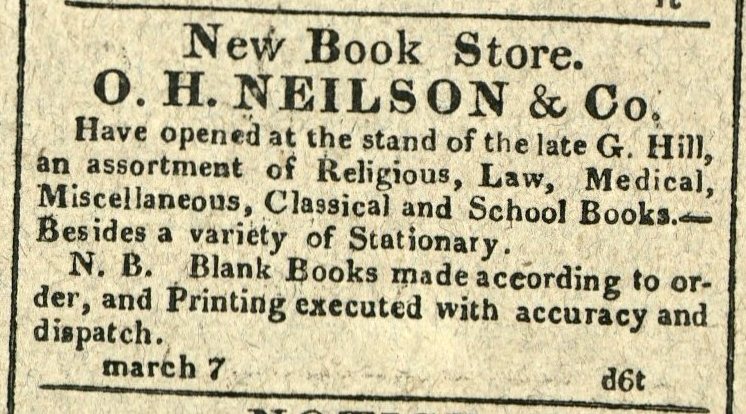 Advertisement: New Book Store. O.H. Neilson & Co.